My first thought when I saw this sketch was to create a wedding card with bells in place of the tags. 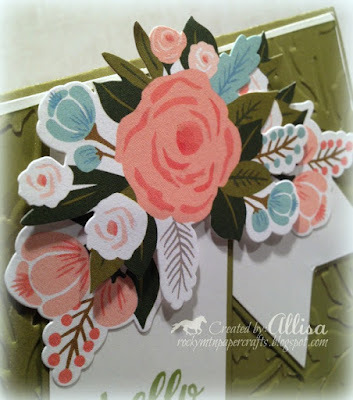 I was all set to complete my card with tons of layers and frilly lace.............until reality set in that I did not have any wedding bells stamps and the late hour meant that free handing was out of the question. I am in serious withdrawal from my die collection. Hand cutting banners is about my limit! I decided to skip the wedding idea and do a fun spring card instead. 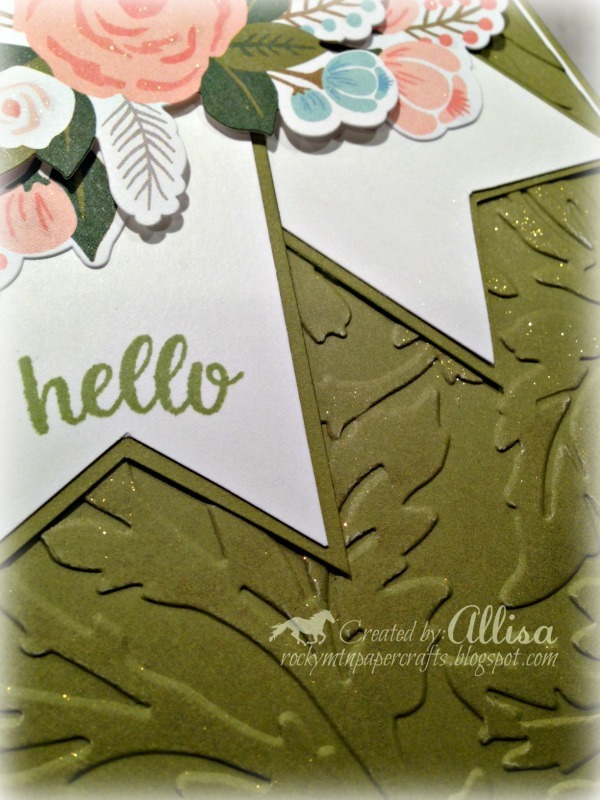 I created my flower cluster with the Hello Lovely Complements. I added foam for dimension and layered multiple images together to create my cluster. The details are hard to see in the photo...and we all know it is all about the details! I added a bit of shimmer to my flower arrangement and to my embossed background with the new gold shimmer brush. 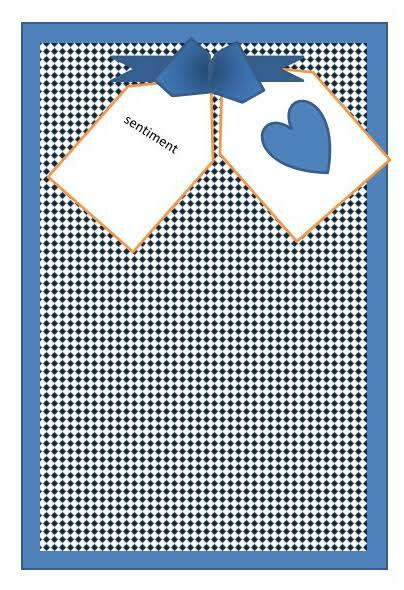 Another attempt to show you the depth and detail of my card. I added lots of texture! After embossing my fern cardstock, I used my shimmer brush on the raised image.....leaving a golden shimmer on the embossed image. Sadly, you do not get the full effect with the photo! Beautiful spring themed card, great take on the sketch, lovely flowers and embossing. Thanks for playing along with the Southern Girls. beautiful card :) perfect take on the sketch! thank you for playing along with us at simon says wednesday challenge! Beautiful card! 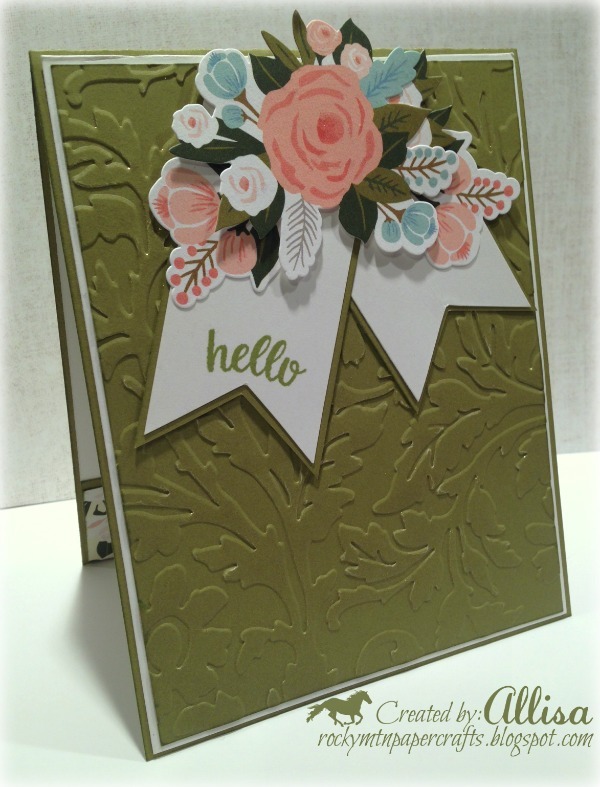 Love the embossed background, perfect for those lovely flowers! Thank you for joining our Great Impressions Challenge this month. I hope you come back next month.